Self-publishing and traditional publishing are usually at odds. On the one hand, enthusiasts and authors praise self-publishing as a way to democratise literature, while on the other most publishers consider it as a synonym for low quality. But can self-publishing coexist with a more traditional approach and can they even complement each other? Apparently yes, according to Laure Prételat and Charlotte Allibert, founders of the new French self-publishing platform Librinova. An alternative to Kindle Direct and Kobo Writing Life, the new digital venture was launched in 2014 with the aim of helping aspiring French authors find a readership by making their titles available online, as well as offering additional services, like editing, design and marketing. In addition, Librinova has developed tools to assist publishers — for instance by creating a slush-pile management interface to facilitate the submission process. 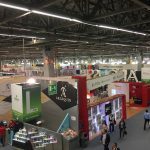 Moreover, thanks to the strong industry connections of its staff, Librinova is also acting as a literary agent, in that it helps its most successful authors find print deals with traditional French publishers. As part of our Publishing Industry Insight Series we have discussed what this platform consists of and how it positions itself in the broader picture of the French and European book market. Giulia: Can you tell us a bit about Librinova? 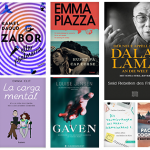 Laure and Charlotte: Librinova is a comprehensive and easy-to-use self-publishing platform aimed at anyone who would like to make their writing available to the general public for a very small fee: 50 or 75 euros for distribution with over 100 e-retailers in France and abroad. Authors retain their rights and take home 100% of their earnings (less the e-retailers’ commission). For additional fees, we provide a large array of professional services, ranging from proofreading to cover design to print copies, to name a few. Librinova distinguishes itself from other self-publishers through its strong ties to the traditional publishing world. We see self-publishing as an excellent test market for authors and a democratic way to find new voices. Through either sales performance or personal belief in a book’s potential (we do look at everything we publish! ), we work to place promising authors with traditional publishers. We also pride ourselves in having outstanding and very personalized customer service and truly accompany our authors through the publishing process. G: Why the need to create such a platform? L & C: We come from a publishing background: we both worked at Edi8 in the Editis group — Laure as deputy CEO and Charlotte as Digital Manager. 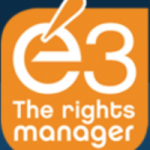 Rights manager Andrea Field instead worked at Calmann-Lévy (Hachette) and XO (Editis). In 2012, we began noticing the rise in the success of self-publishing abroad and the fact that the slush pile was growing higher and higher. We saw what a struggle it was for publishers to manage all of these manuscripts and what a disappointment it was for authors to remain unpublished. Librinova was thus born as a service to both authors and publishers. In addition to our self-publishing model, we have developed a slush pile management interface for publishers, allowing them to transition to a digital-only system of accepting and managing submissions. They suggest Librinova as an alternative to traditional publishing to any author they turn down and can then track their progress through the interface. We continue to innovate and are developing other ways to use digital technology to help publishers save time and get back to what they love most: discovering great authors! G: How is self-publishing perceived in France? Do you think the stigma is now starting to fade? L & C: Self-publishing is definitely making headway in France. In addition to major foreign successes picked up by traditional publishers here, French self-published sensations are now on the rise. The digital readership is growing and bloggers are reviewing more and more self-published authors. However, some traditional publishers are still quite wary of the self-publishing world and some will certainly never consider publishing a self-published author on principle. We maintain positive relationships with both commercial and more literary publishers, with the major groups and smaller, independent presses because we truly act as a literary agent, relying not simply on sales numbers but on our own literary tastes in selecting the texts we propose. Our authors also come to us as a first step toward finding a traditional publisher, not because they think there is no need for an editor. So we hope we’re also helping to improve the image of self-publishing in France! G: Do authors have agents when they come to Librinova? L & C: There are very few literary agents in France who represent authors. Most of the time, authors and publishers work directly together with no intermediary. Publishers enjoy this direct contact and are skeptical towards the expansion of literary agents. Our authors never have an agent before coming to Librinova. Most of them have absolutely no contacts in the publishing world and find it quite confusing and intimidating. They specifically choose Librinova because we will help them navigate through this confusing world and they are grateful for this help. G: How many Librinova authors have found their way to traditional publishers? L & C: In just two years, six of our authors have been published with traditional publishers (Edi8, Points, Michel Lafon, Mosaic, Préludes, Eyrolles). Sometimes their high sales convince the publisher, sometimes it is the result of a writing contest in partnership with another publisher and sometimes we simply fall in love with a text and know exactly which publisher will also fall in love with it. In any case, our role is always to draw the publishers’ attention to potential successes. G: Do you also help them selling translation rights? At this time, we do not handle foreign rights for our authors. We license all rights to the traditional publisher, who then handles foreign and other subsidiary rights. We are, however, currently working on expanding our concept and business model abroad, not only in French-speaking areas like Quebec, but also in Spain, Italy, the UK…we are looking for partners on-site and interested parties should not hesitate to contact us!